GENEVA, Switzerland, May 5, 2011 (ENS) – Representatives from 127 governments have agreed to add endosulfan to the United Nations’ list of persistent organic pollutants to be eliminated worldwide. The action puts the widely-used pesticide on track for elimination from the global market by 2012. The decision was among more than 30 measures taken by Parties to the Stockholm Convention on Persistent Organic Pollutants to strengthen global action against POPs at their meeting in Geneva last week. 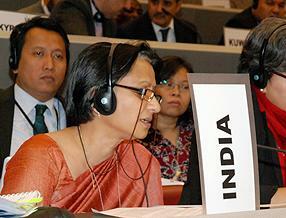 The governments agreed to list endosulfan in Annex A to the Stockholm Convention, with specific exemptions. 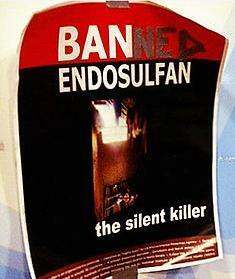 When the amendment enters into force in one year, endosulfan will become the 22nd POP to be listed under the Convention. Endosulfan is an organochlorine insecticide used on crops worldwide, mainly on cotton, coffee and tea. 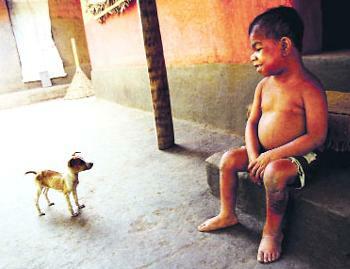 Endosulfan acts as an endocrine disruptor, causing reproductive and developmental damage in both humans and animals. Momentum for a global ban has been building for years. In Geneva, the governments decided that a Party to the Stockholm Convention may extend the endosulfan phase-out period by five years but only for a small number uses. “The conference recognized that financial and technical support is required to facilitate the replacement of the use of endosulfan in developing countries and countries with economies in transition,” said UNEP Executive Director Achim Steiner at the meeting. 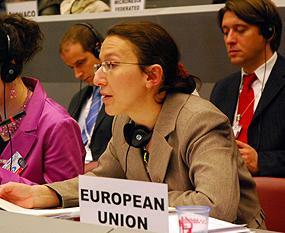 “In establishing a consultative process on finance for the chemicals and waste conventions, UNEP has responded to the need of those countries by seeking to make the sound management of hazardous chemicals a development priority of the green economy in which all countries can fully and fairly participate,” Steiner said. “New POPs present new challenges, as we are usually dealing with chemicals that are still widely used commercially,” said Jim Willis, the newly appointed executive secretary of the Stockholm Convention. “Parties have demonstrated that they can find creative solutions to speed the elimination of POPs and protect environment and human health from these dangerous chemicals,” said Willis. Environmental health and justice organizations from around the world who have been working towards a ban welcomed the decision. “We are pleased with the decision of the global community today to phase out this dangerous chemical that has contaminated our traditional foods in the Arctic. Our people are some of the most contaminated on the planet,” said Vi Waghiyi, a Yupik woman from St. Lawrence Island Alaska who serves as director of the Alaska Community Action on Toxics Environmental Health and Justice Program. 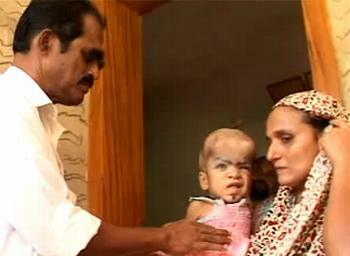 She urged that all uses of endosulfan be ended quickly. Endosulfan has severely impacted the people of Kerala, India, where its use on cashew plantations has left thousands suffering from birth defects, mental retardation, and cancer. “This is the moment we have been dreaming of,” said Jayan Chelaton from Thanal, a public interest research group based in Kerala. While some agricultural workers in India have resisted a ban on endosulfan, saying it is not harmful, the Supreme Court Monday heard a petition seeking a ban on sale and production of endosulfan across the country filed by the Communist Party of India’s youth wing, the Democratic Youth Federation of India. More than 700 delegates took part in the conference from April 25 to 29. Under the theme, Stockholm at 10: Chemical Challenges, Sustainable Solutions, the conference marked the 10th anniversary of the adoption of the treaty in 2001. On other issues, the governments evaluated the continued need for DDT for disease vector control to combat mosquitoes carrying the deadly malaria parasite. On the basis of current scientific, technical, environmental and economic information, the Parties saw a continued need to use DDT while effective alternatives are being sought and implemented by an increasing number of countries. The Stockholm Convention allows the use of DDT for public health interventions for disease vector control as recommended by and under the guidance of the World Health Organization, WHO, because locally appropriate and cost-effective alternatives are not yet available. 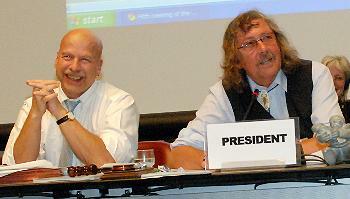 The first assembly of the Global Alliance for Alternatives to DDT, held on April 26, agreed with the WHO findings. Although there is no deadline for the elimination of DDT, the goal of the Global Alliance is to reduce reliance on DDT for disease vector control by strengthening countries’ capacities to deploy safer alternatives. The conference requested that UNEP take over administration of the Global Alliance, in collaboration with the World Health Organization. UNEP was also requested to take over the PCB Elimination Network. Monique Barbut, chief executive officer of the Global Environment Facility, speaking at the “Finance Forum for Sustainable Solutions” on the opening day of the conference, announced the GEF would provide US$250,000 in support to countries to update their national implementation plans in response to the adoption of new POPs to the Convention. In total, the GEF has funded more than US$1 billion to address implementation of international agreements on hazardous chemicals and waste clusters. Seven new Stockholm Convention regional centers were endorsed by the conference in Algeria, Kenya, India, Iran, Russia, Senegal and South Africa. The Russian regional center is conditional on the Russian Federation’s ratification of the Stockholm Convention.